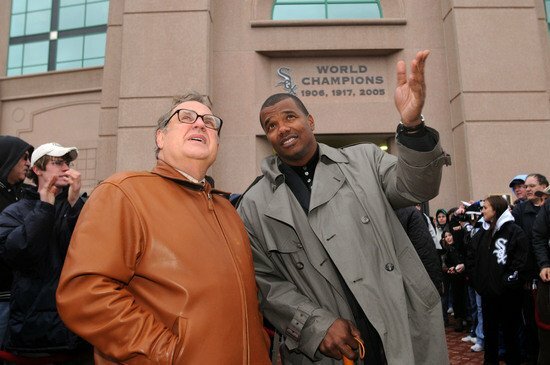 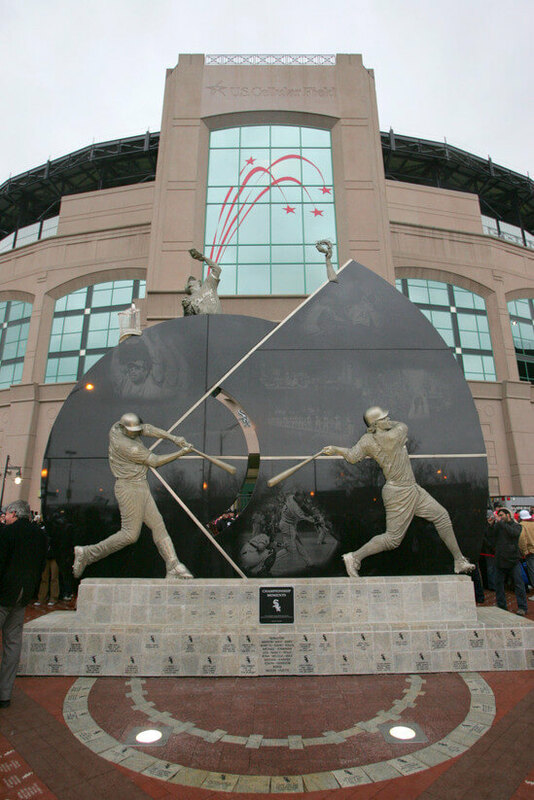 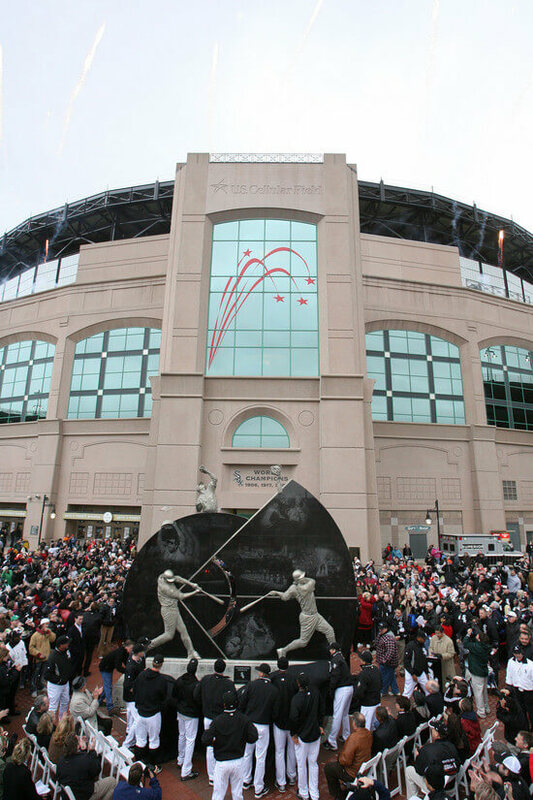 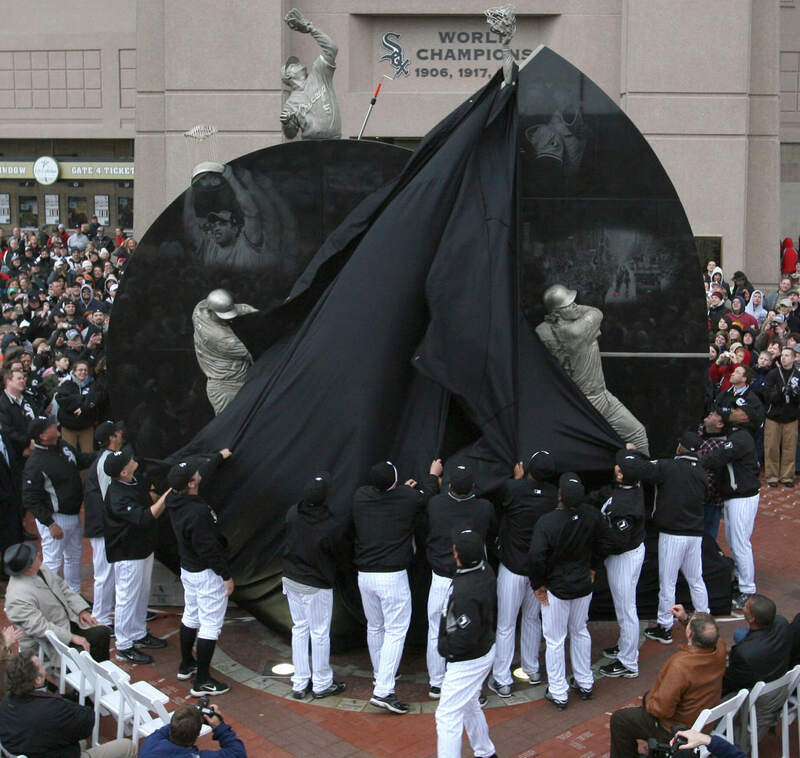 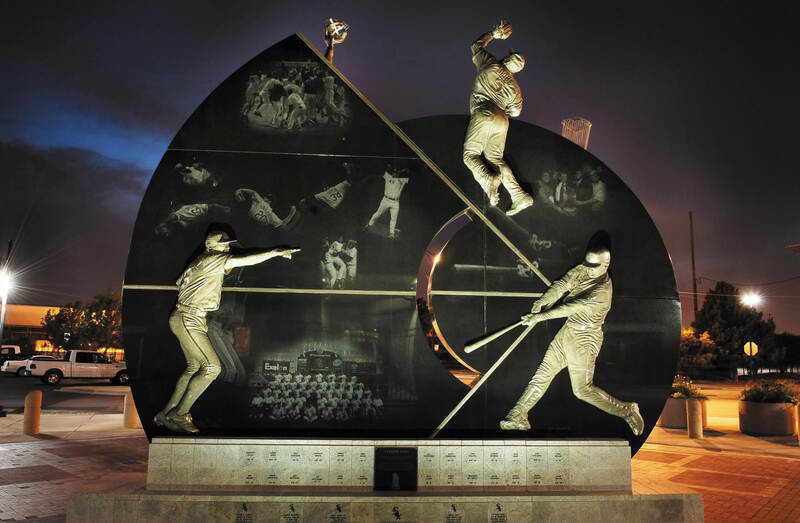 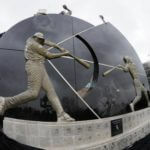 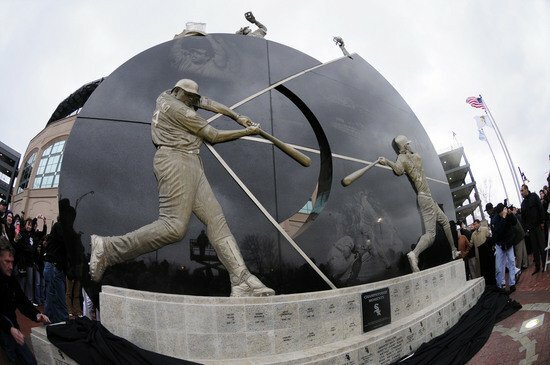 This monument celebrates the 2005 World Series Champions of baseball, the Chicago White Sox. 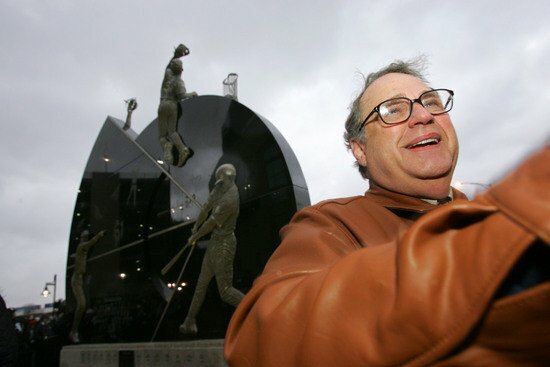 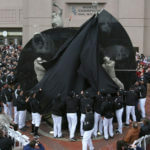 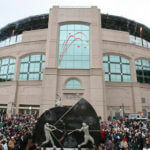 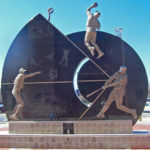 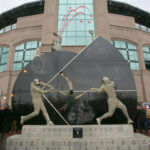 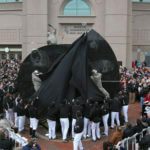 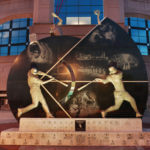 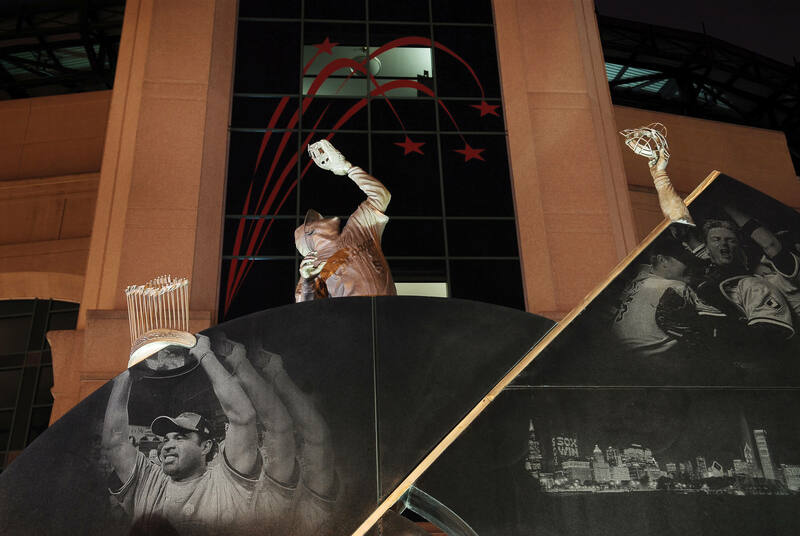 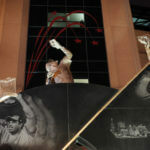 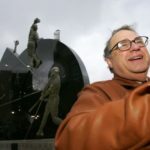 It is a sculpture reflecting moments in the division game series leading up to and including the World Series playoffs. 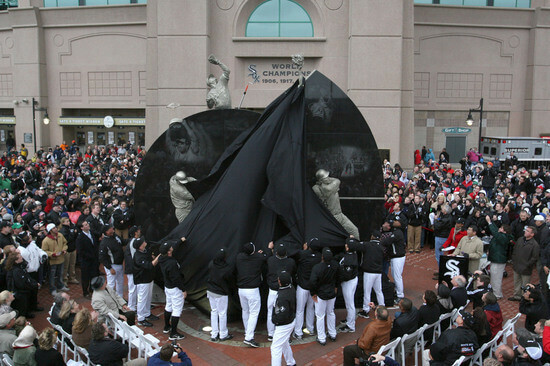 The monument captures some of those pivotal moments during the series. 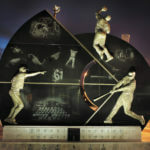 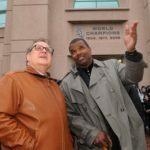 It is meant to glorify the whole team (the whole being greater than the sum its parts). 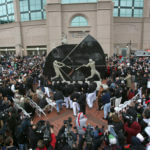 The team worked as a unit to capture the title. 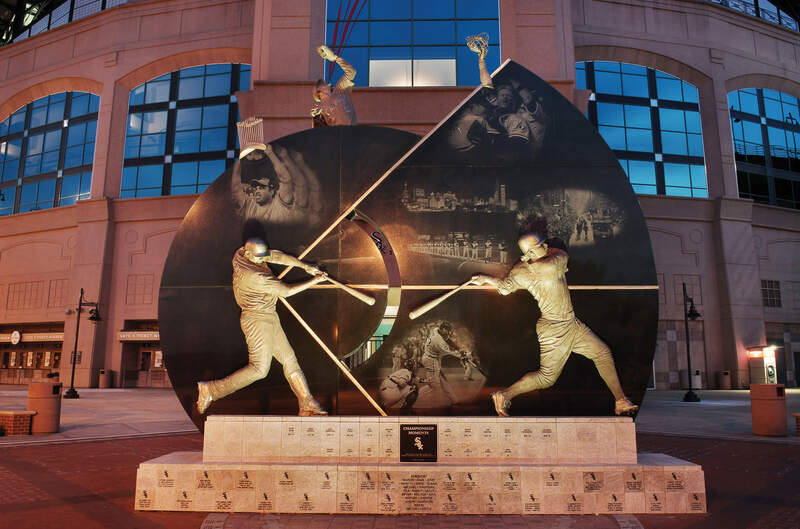 This sculpture is also a design of constant movement, repetitive movement, circular forms lending themselves to the line of motion; the bird’s eye view of the baseball field designed into the circle with no beginning and no end… only evolving. 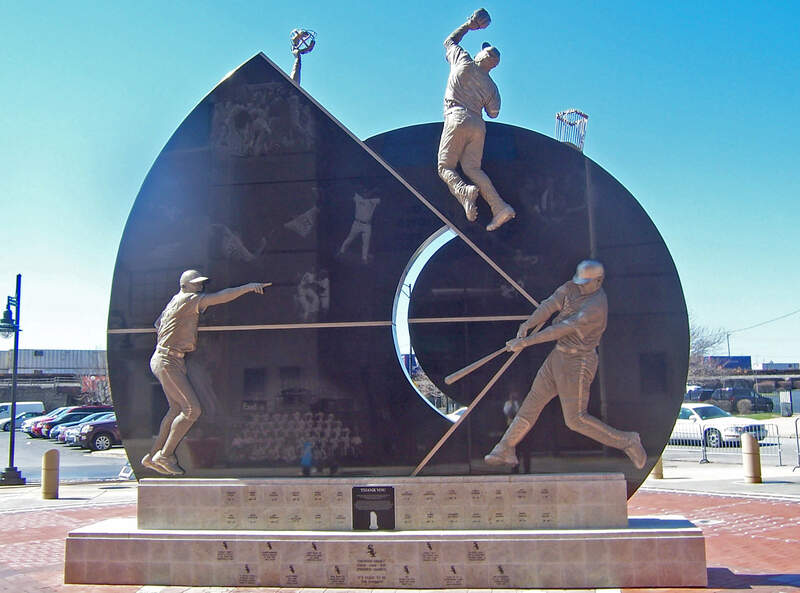 The strength of the batter, the perfect pitch, the ultimate catch of the year, the fans exuberant with enthusiasm. 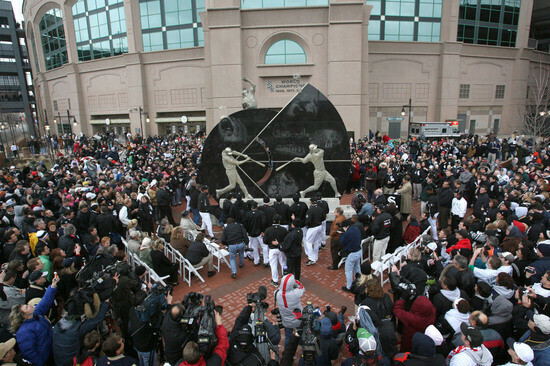 All to remember and appreciate.